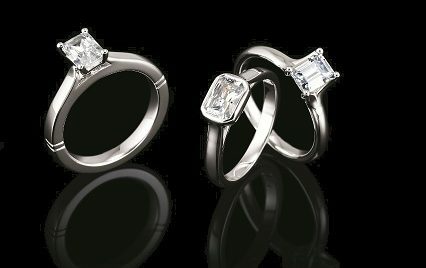 See all the beautiful shapes that can be created with any Engagement Ring design. we have the Excellent Cut Diamonds to fit your Unique Style. The Round Brilliant Cut Diamond has been around for hundreds of years, and will still be around for the next hundred years. 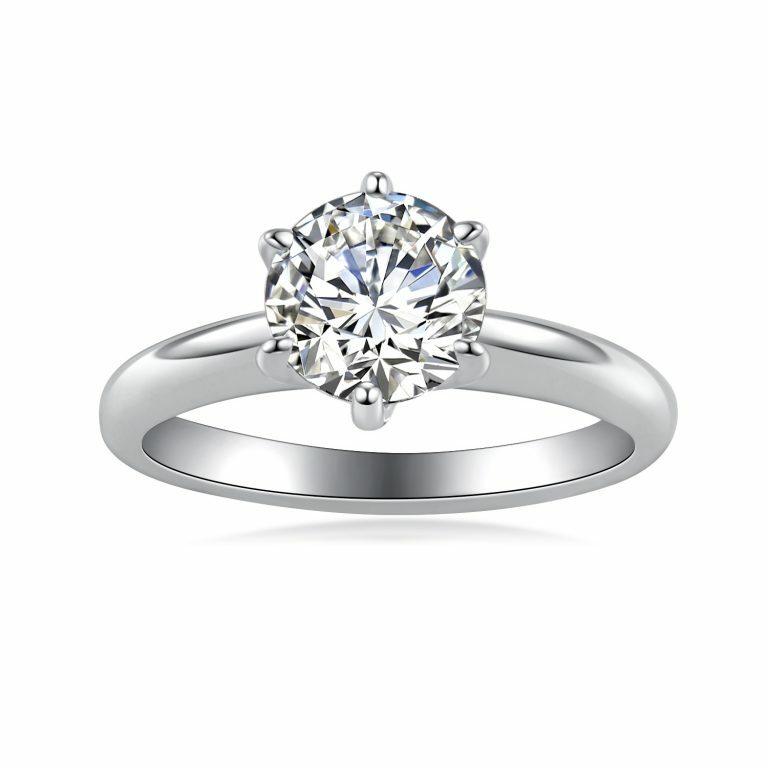 The symmetry and faceting of the Round allows the most sparkle to be emitted when the light hits it. Though the Round has come up from a long line of trial and error, it still stands as the most popular and classic cut. The Cushion cut diamond blends the sparkle and cutting style of a round with the soft contoured edge of a square cut stone. The best of both worlds. Originally named the "pillow-cut," the Cushion has actually been around for over a hundred years. The Cushion cut comes in many different forms though. Some more elongated than others, some more square, and some even "boxy." It's a personal preference for style of Cushion, but there are still certain percentages in the cut to get the most sparkle. 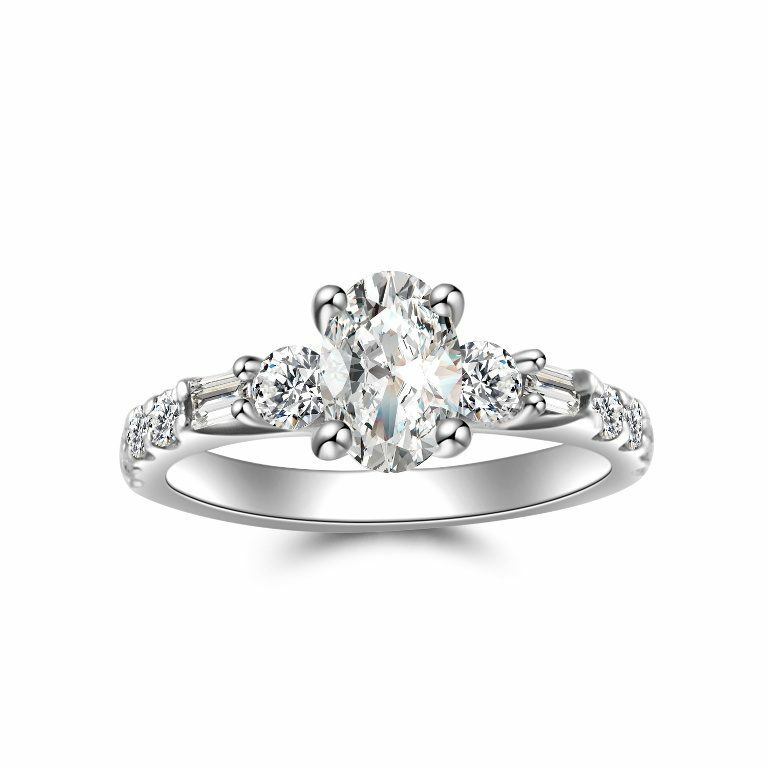 The sophisticated design of the Oval cut diamond shows a unique side of the classic round. With the same brilliant cutting style as the round, the Oval sparkles with a hint of exclusivity. This elegant elongated shape flatters any hand. 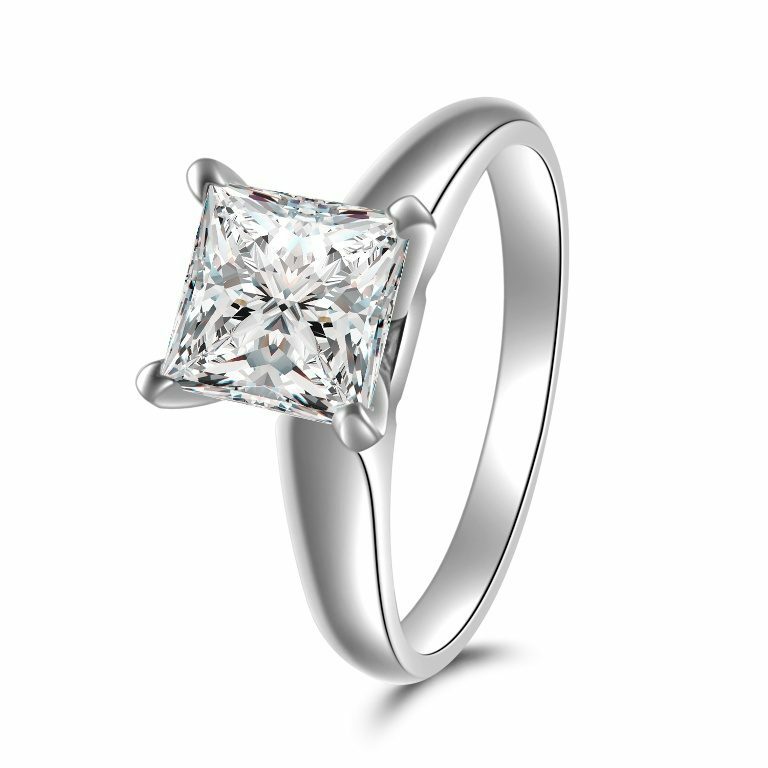 The square Princess cut diamond shape has a very classic and bold look. With the sharp, clean lines and high sparkle, this cut always makes a statement! 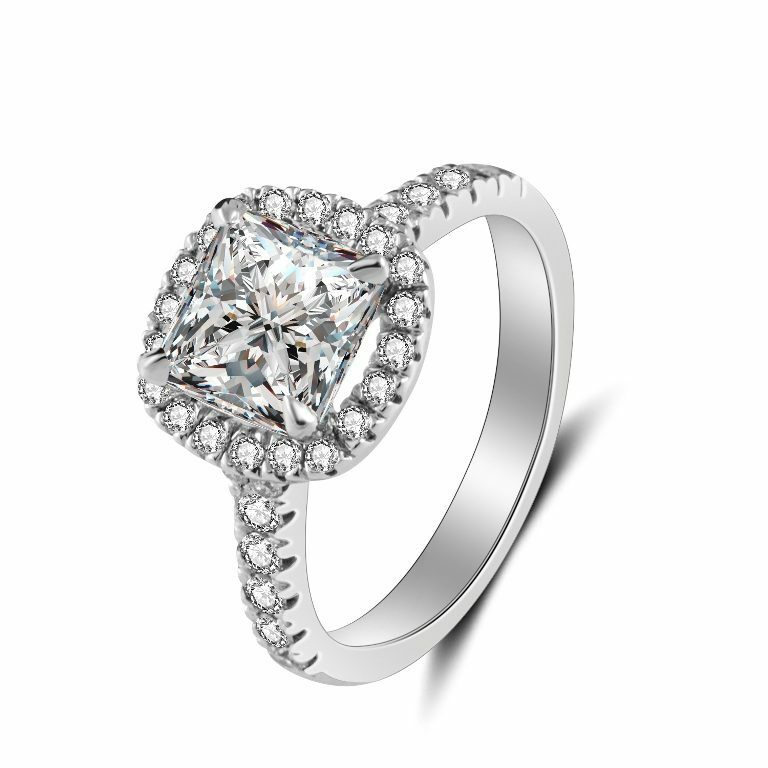 Elegance is the first thing that comes to mind with this amazing cut of Diamond. Cut so differently from the other shapes, the Emerald cut envelopes shine and radiance as opposed to the flashy sparkle that the Round exhibits. The clean step cut design allows the viewer to see right through the stone, which is why a higher clarity is preferred with Emerald cuts. 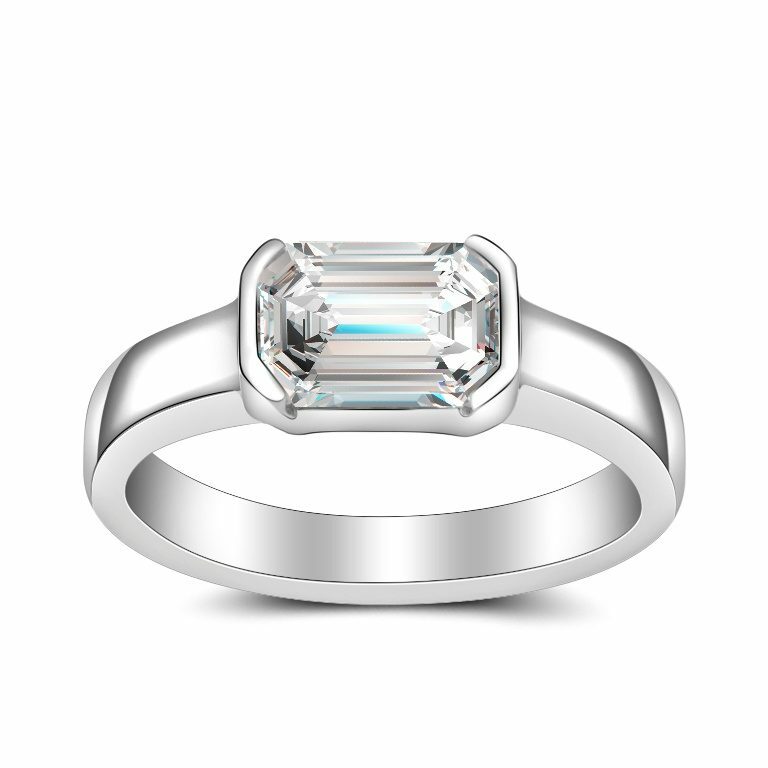 The color is also very important with the rectangular elongation of an Emerald cut. The lower in color grade, the more deeply you can see it with Emeralds, as opposed to the symmetry and brilliant facets of the round, cushion etc. 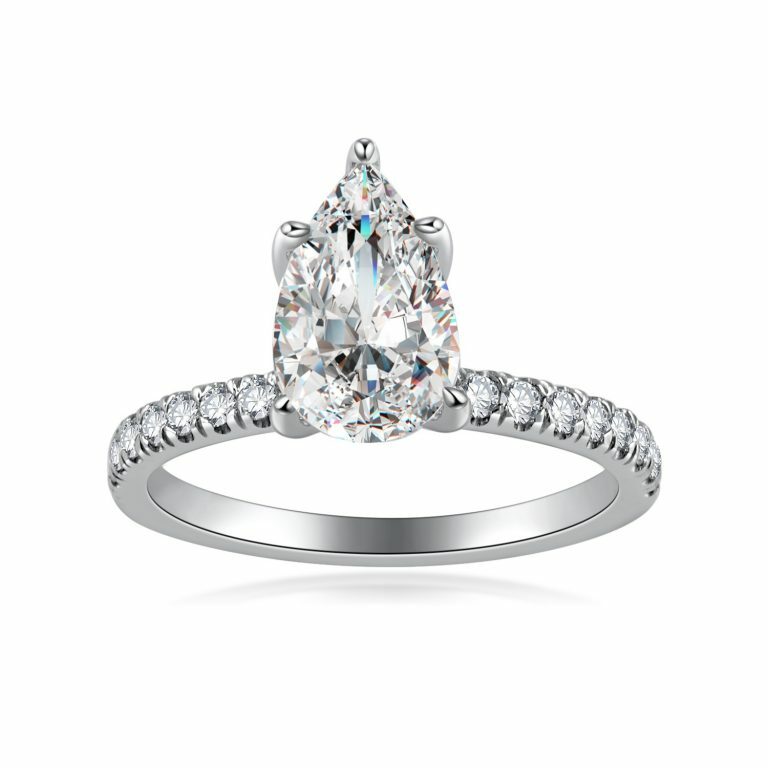 The Pear shape diamond has always been a differentiating style of cut. A "teardrop" pear shape diamond lover has a lot of character and energy! 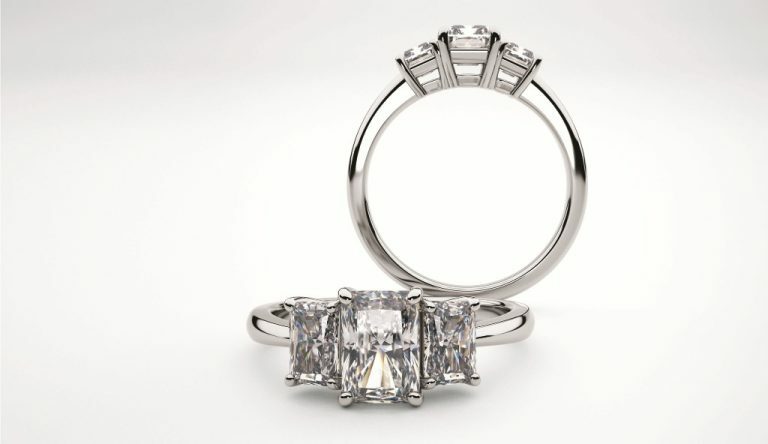 The Cut-cornered Radiant cut diamond is gorgeous in the most creative ways! Ranging from square to elongated, the radiant cut has a very special 'radiance' like no other. With the brilliant faceted sparkle of the round cut and the elongated rectangle shape of the emerald cut, the radiant has a unique and rare composition. The greatest love of all! 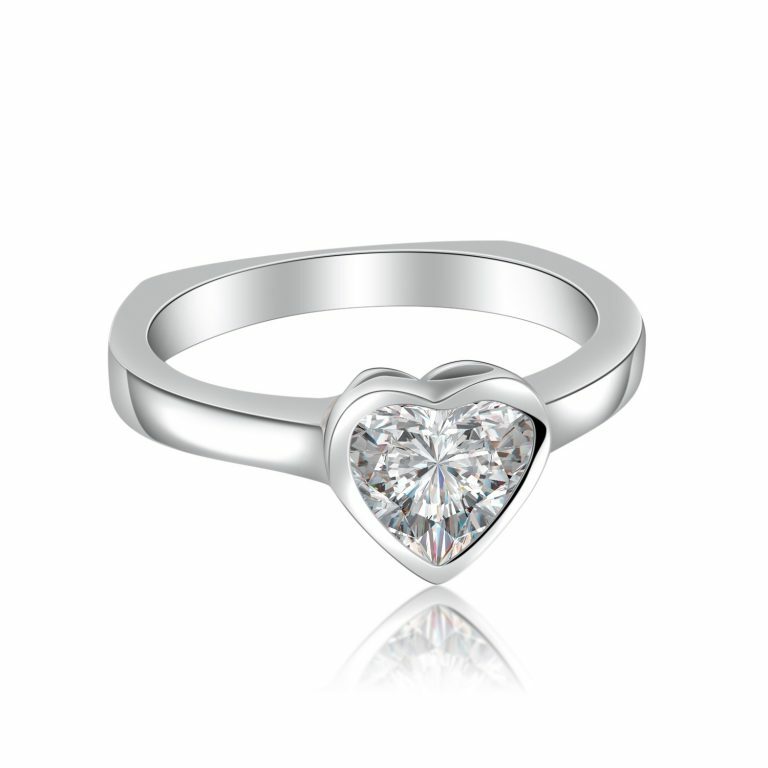 A heart shape diamond shows a unique yet original sign of charming beauty!